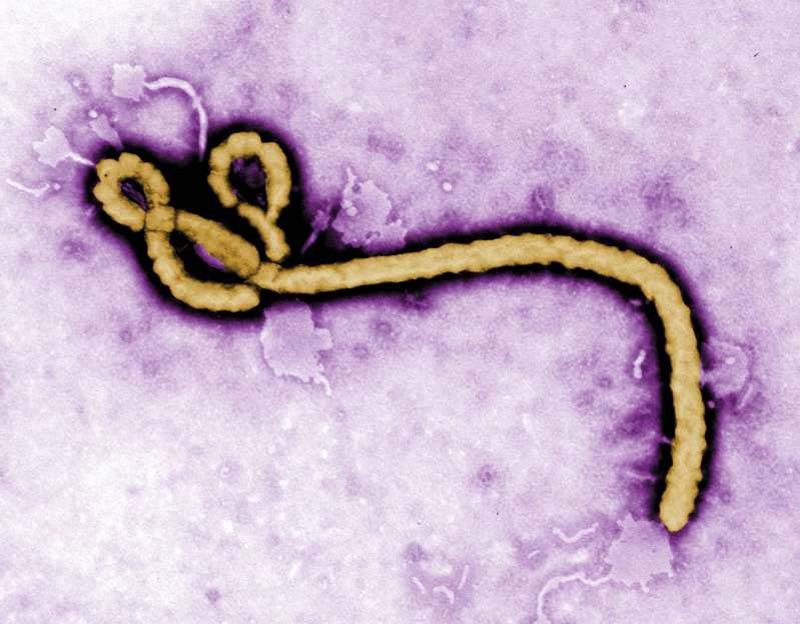 © The Associated Press An undated file image made available by the CDC shows an Ebola virus virion. Congo's Ebola outbreak has spread to a city, the capital of the northwestern Equateur province, a worrying shift as the risk of infection is more easily passed on in densely populated urban areas. "We are entering a new phase of the Ebola outbreak that is now affecting three health zones, including an urban health zone," he said, adding he is worried because Mbandaka is densely populated and at the crossroads of Equateur province. Ebola is spread by contact with the bodily fluids of people exhibiting symptoms. "Since the announcement of the alert in Mbandaka, our epidemiologists are working in the field with community relays to identify people who have been in contact with suspected cases," he said. "This is a concerning development, but we now have better tools than ever before to combat Ebola," said Tedros Adhanom Ghebreyesus, WHO Director-General. "WHO and our partners are taking decisive action to stop further spread of the virus."